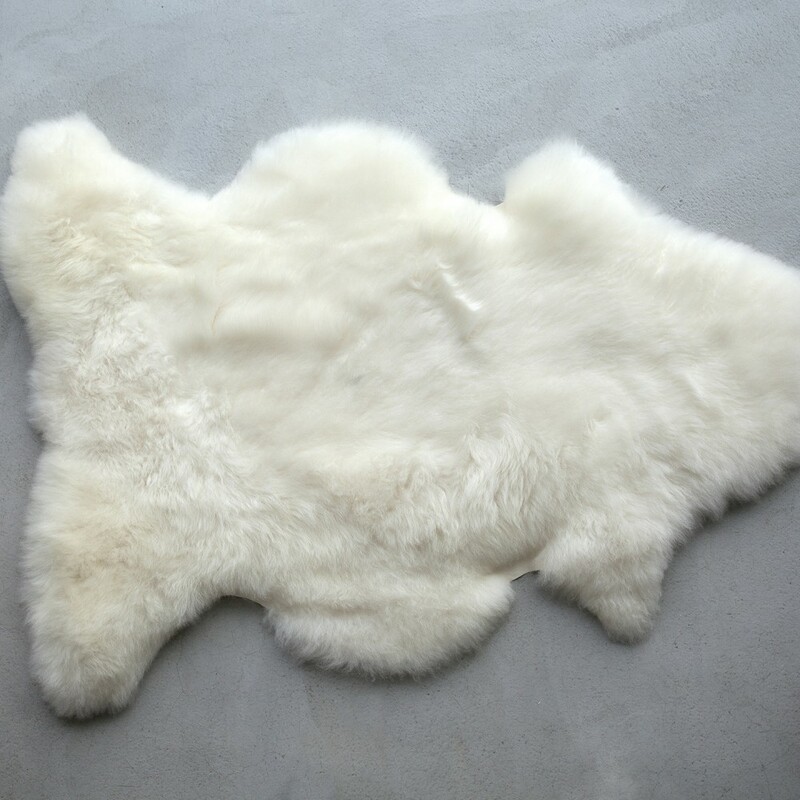 Woollen lambskins with wool that is a bit longer than milklambskins and that are silky and incomparably soft to the touch. Each piece is unique. The shape, thickness and colour can vary slightly from classic off-white to shades of beige or grey-brown that gives these skins a natural and wild look that you will not be able to resist. Perfect for a throw on your bed, over your armchair or your sofa to add a touch of warmth during winter evenings…. Give free rein to your imagination. Length: between 90 and 100 cms. TARA tanning (natural colour) : this tanning procedure uses natural extracts without the addition of chrome or other toxic substances. A tanning procedure that only uses products from the Tara tree that grows in Peru and Brazil. This procedure retains the natural colours of your lambskin. All you need to do for all types of sheepskins tanned using the TARA procedure is to air them well. It is also important to brush them regularly with a special brush to remove any impurities that build up in them and to restore their original softness and suppleness. Use a damp cloth to remove any dirty marks.